MILAN - Football is in mourning following the death of former AC Milan and Italy legend Cesare Maldini at the age of 84. In a statement Sunday, the club remembered Maldini as "a man who was destined for immense achievements at Milan." His son Paolo followed his footsteps to play at Milan, while a grandson, Christian, plays for the under-19 team Milan Primavera. Tributes have been flooding in from across football. "A great man has left us, a true legend of Italian football," Italian Football Federation President Tavecchio said. "He made history first as player and then as head coach. "He was the first Italian ever to lift the European Cup; he then contributed to the development of countless Azzurri talents as a manager, always fulfilling his position with exemplary professionalism. He embodied perfectly the essence of the national head coach role." There will be a minute's silence before every league game Sunday and Monday, while Milan players are wearing black armbands in their match against Atalanta. "He was one of the greatest figures of Italian football, both as a footballer and as a coach," Italy coach Antonio Conte said. "I feel the pain of all his family and in particular his son Paolo, who I spent so many years together with, in the national team." Maldini made his Milan debut as a player in 1954, going on to make 412 appearances and winning four Italian league titles. As captain, he lifted Milan's first European Cup in 1963 at Wembley — also the first one won by an Italian club — after beating a Benfica team that included Portuguese great Eusebio. Maldini made 14 appearances for Italy, which he also captained, and played in the 1962 World Cup. He retired in 1966 but returned to Milan six years later as coach until a defeat to Verona in 1974 cost him his job. Maldini, who won the European Championship three successive times with the under-21 side, also coached the senior Italy side during the 1998 World Cup in France, losing in the quarterfinals on penalties to the hosts and eventual champions. 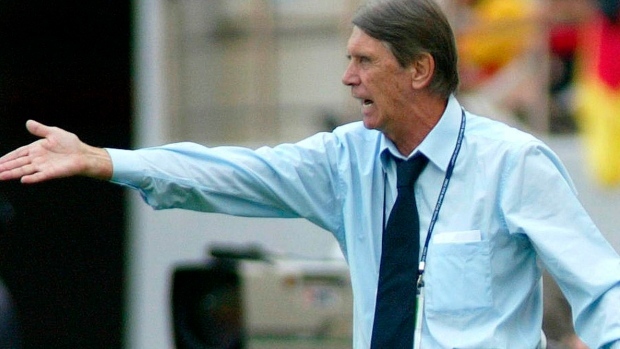 He was also assistant coach to Enzo Bearzot when Italy won the World Cup in 1982. After a spell back at Milan as head scout — and briefly as caretaker coach at the end of the 2000-01 season, overseeing a 6-0 victory over bitter rival Inter Milan — Maldini took charge of Paraguay. He led the team to the 2002 World Cup in Japan and South Korea, where it was knocked out by Germany in the round of 16.